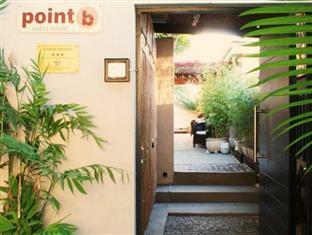 ﻿ Point B Guest House Cape Town. JIMAT di Agoda.com! Ada soalan mengenai Point B Guest House? Terletak pada kedudukan yang baik di Green Point, Point B Guest House adalah tempat yang sesuai untuk memulakan lawatan anda di Cape Town. Terletak 5.0 km dari keseronokan bandar, hotel 4-bintang ini terletak di lokasi yang sangat baik dan menyediakan akses kepada tarikan terbesar di bandar. Penginapan ini berada di sekitar kawasan tarikan bandar yang popular seperti Stadium Cape Town, Stadium Green Point, Green Point Track. Ambil kesempatan daripada pelbagai perkhidmatan dan kemudahan yang tiada tandingan di hotel Cape Town. Untuk menamakan beberapa kemudahan di hotel ini, terdapat Wi-Fi percuma semua bilik, Wi-Fi di tempat awam, tempat letak kereta, pengangkutan lapangan terbang, penjagaan kanak-kanak. Point B Guest House mengandungi 5 bilik yang dihias indah dan menawarkan linen, tuala, internet wayarles, internet wayarles (percuma), bilik larangan merokok. Sama ada anda peminat kecergasan atau hanya mencari cara untuk bersantai setelah seharian bekerja, anda akan dilayan oleh kemudahan rekreasi kelas tertinggi seperti pusat kecergasan, kolam renang terbuka, taman. Nikmati perkhidmatan yang sukar ditandingi dan lokasi benar-benar berprestij di Point B Guest House. Staff was so lovely. Will be my first choice when going back to CapeTown! Pool was small but good and rooms very clean! Brad & Hilton are very welcoming and helpful, their staff efficient and likeable and the house and garden attractive. The location is ideal in quiet surroundings despite being close to Main Road and not too far from the Waterfront shopping area. Very friendly owners Brad & Hilton, excellent service, lovely rooms, beautiful white bed linen, delicious breakfasts, laundry service, attractive pool garden, attention to detail, parking for two cars, meticulous security. Would be good to have an honesty bar. Good location, walking distance to Water Front, and nice staff with excellent breakfast! Great place. 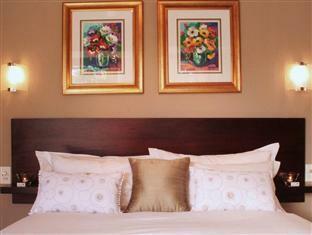 Beautiful decor, extremely friendly staff, walking distance to Stadium and Sea Point. Would definitely stay again. 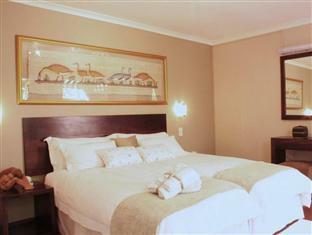 Great staff; delicious breakfasts; convenient walk to major attractions. I really enjoyed my stay. The staff was professional and attentive to my needs. 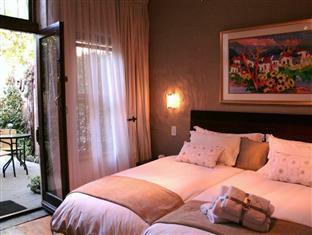 The guest house is located in a quiet community that made the down times quite restful. The breakfasts were exceptionally good. Service was excellent, i would definately go back. Room was very cosy loved the bookshelf in the room with a variety of books. Friendly staff, great food. Cleanly. Beautiful, tastefully decorated place. Good bedding. Rather smallish room. No views. Internet access was NOT free of charge! A friendly and homely place. Very beautiful. I enjoyed my stay, the breakfasts and the one diner I had very much. The bed was good and I slept very well. The people were nice and attentive without being intrusive or inquisitive. The pool is rather smallish and was very cold, so I did get my feet wet, but no more. The place lacks views, but has enough beauty of its own. Unfortunately my room (3) lacked a bath-tub. Internet access was charged for. centrale ligging, niet te groot en aandacht voor de gast. Point B is niet een groot Guesthouse, heeft iets van vijf kamers. Daardoor is de aandacht voor de gasten optimaal. Door de centrale ligging en door het goede ontbijt is het een prima uitgangspunt om Kaapstad te bezoeken. Les +: confort du lit, propreté de la chambre Les--: chambre très bruyante. les murs sont séparés par du placo, y compris sols et plafonds. on entend la moindre discussion de la chambre d à côté. pas digne d un 4 étoiles. petit dejeuner correct, ms il ne faut pas etre pressé... accueil timide du propriétaire. aucun conseil donné sur la ville. notre chambre était assez petite (il y avait 1 lit de trop vu l etroitesse de la chambre, ce qui donnait l impression d etre ds une chambre -débarras ).pas de rideau occultant, ms seulement 1 rideau blanc qui laisse tte la lumière entrer ds les yeux de beau matin.... l alarme de la maison peut sonner tte la nuit et vous empêcher de dormir, le propriétaire ne se levera pas pr regler le pb.... bref, vous l aurez compris, pr le prix, on peut trouver bcp mieux à cape town. vraiment agreablement supris par le standrad et le service offert! tres bon rapport qualiter prix. proche de toute les faciliter nessecaire pour vacances ou travailles!